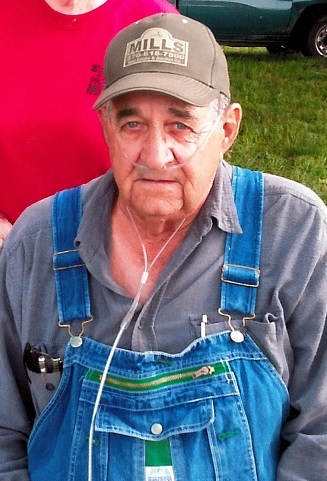 Gerald Dewayne "Jerry" Winchel, 72 of Morgantown, KY passed away Thursday August 30, 2018 at his residence surrounded by family. Jerry was born June 10, 1946 in Baraboo Wisconsin to the late Virgil Dewayne "Bill" Winchel and Vera Smith Custer. Jerry worked many jobs over the years from the coal mines to truck driving, but his passion was always running a bulldozer and backhoe. He was a loving husband, father, grandfather and friend. Jerry loved car racing and hanging out with his son and all the guys in the garage talking and working on race cars and anything else that needed fixing. He also enjoyed drinking coffee and talking with his friends and family at the Farmboy. Other than his parents he is preceded in death by one daughter Jody Marie Mullins; one granddaughter Mattison Casey; one brother Bernard Winchel and one sister Bea Heisner. Gerald Dewayne "Jerry" Winchel is survived by his wife Joyce Winchel of Morgantown, KY: two daughters Jamie Casey of Morgantown, KY and Jenny Hurt (Toby Basham) of Morgantown, KY; one son Jason Winchel of Morgantown, KY; eight grandchildren Samatha and Jessica Denton, Emily and Becky Mullins, Jaden Hurt, Carson Casey, Hannah and Emma Winchel; son in law Stephen Mullins of Morgantown, KY; four sisters Kay Hinds, Betty Potter (Bob), Lynette Gurgel (Jr) and Diane Winchel; one brother Tim Peterson; special nephews Xavier, Logan, Jordon and Josh Peterson; special friends Brian, Katrina Sitz and boys, Barbara Martin & family and Pat and Mike Cox and several nieces and nephews.